I’m sure there’s room somewhere. Stuck in the same place I’ve always been. 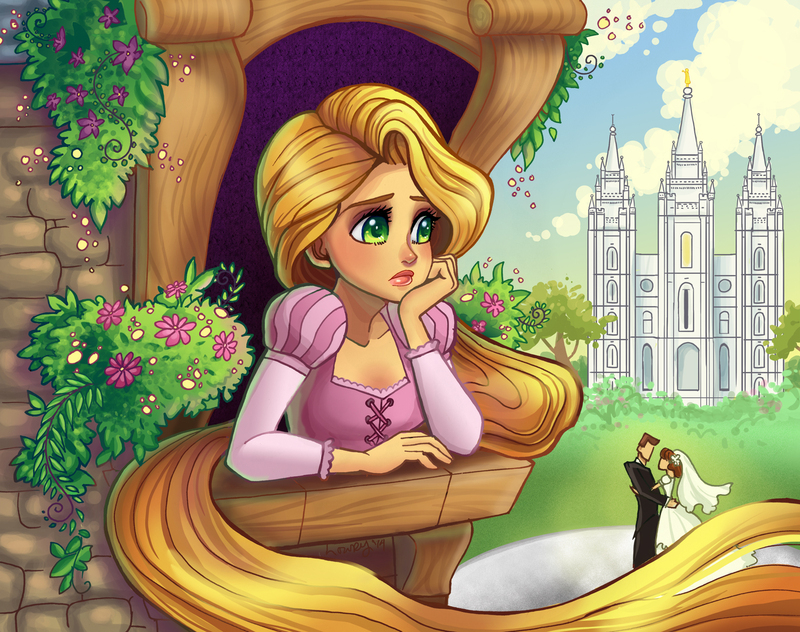 There are many Mormon single adults who can empathize with Rapunzel’s situation. One of my friends once told me that he feels life doesn’t truly begin until you’re married. Given the strong emphasis on marriage and family in the Mormon Church, I wasn’t surprised he felt this way. There are many single adults that long for marriage, feel “stuck in the same place I’ve always been,” and wonder, just like Rapunzel, “When will my life begin?” However, the attitude that life doesn’t really start until you’re married isn’t just wrong – it’s harmful to your personal growth and search for an eternal companion. Categories: Uncategorized | Tags: dating, eternal perspective, marriage, Mormon Church, Rapunzel, Single adults, Tangled | Permalink.